Woodpeckers newest OneTIME Tool, the Exact Width Dado Jig, solves the problem of making dadoes that fit properly by avoiding measuring altogether...just use the actual material you're fitting into the dado as the gauge to set up the cut. 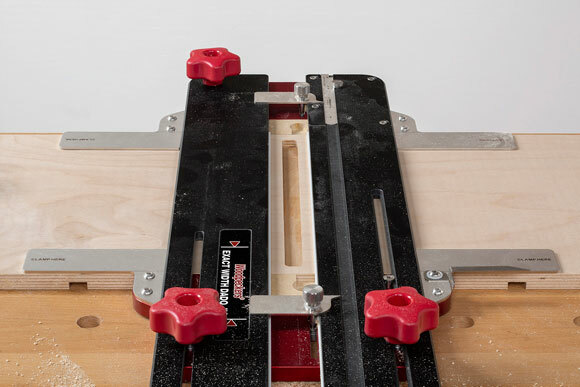 After a quick trim pass to match your router to the jig, all you have to do is fit your stock tightly between the edge guides and you're ready to make a perfect fitting dado. Last day to order is 2/25/19! Poll: Do You Wear a Nail Apron? Now is the time to get what is considered the ultimate in professional woodworking workbenches. Because of an increase in manufacturing and raw material costs, Sjobergs is instituting a price increase on all items effective March 1, 2019! 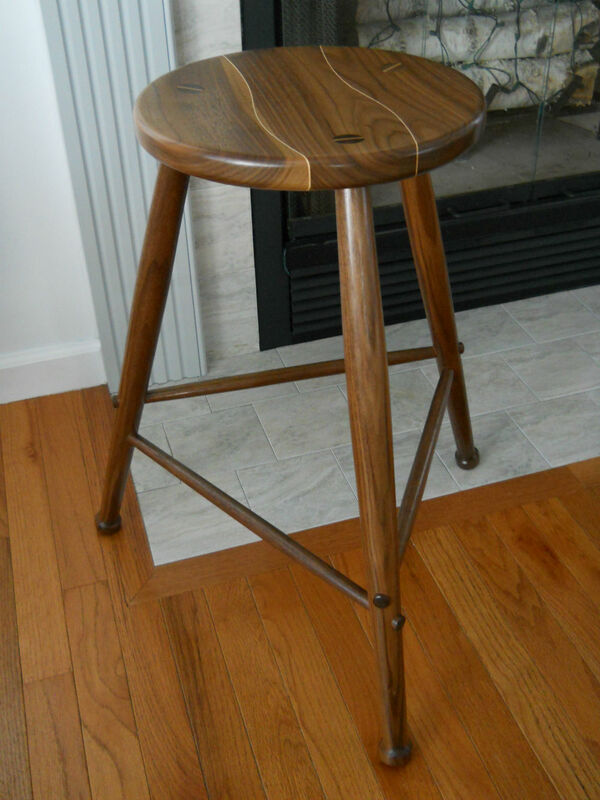 The stool featured in this project could easily qualify as fine furniture, being equally at home in the living room or featured at the local arts and crafts fair. A few unique construction features allow it to be built quickly and easily enough that you won't feel bad about making one for your shop. The Hock Krenov-style plane kit is an ideal way for the beginning toolmaker to dip their toes in the big, big pond of plane making. In the four hours of this class you'll assemble the body; sharpen the iron; flatten the sole; shape the body with bandsaw, rasps, and sandpaper; learn about adjusting the plane to take shavings as you want to; and perhaps even apply the first coat of boiled linseed oil finish. 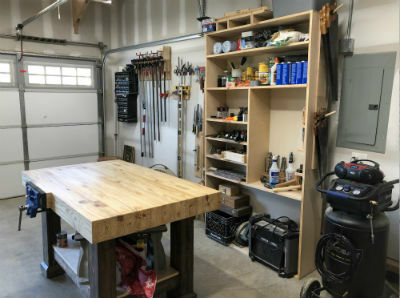 We're sharing Doug Finch's garage workshop in Spring Hill, TN. We're sharing Dennis Dickey's woodturned bowls, which he learned how to make at Highland Woodworking. 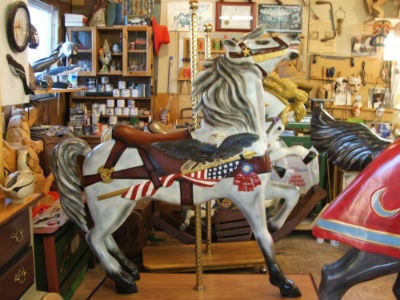 We're featuring several carousel horse carvings made by Ray Leger, a self-taught carver who has been woodworking for over 40 years. 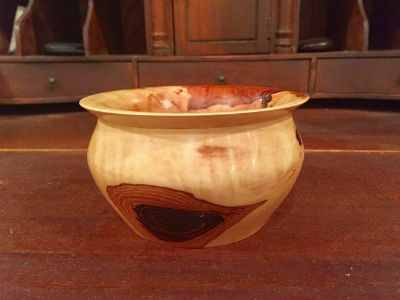 In this new column, Highland Woodturner columnist, Temple Blackwood, shares basic woodturning knowledge and projects to encourage woodworkers to use woodturning on the lathe as a way of enhancing cabinetry, furniture designs, and architectural installations. Matthew Morris from MM Wood Studio walks us through the key features of the Flex Arm Magnetic LED Work Light and demonstrates a few ways you can conveniently use it around your own shop. Jim shares his method for cleaning clamps after they've gotten wet and dirty and also offers a cheap shop storage tip by reusing food tubs. This month's poll asks "Do You Wear a Nail/Carpenter's Apron Inside the Shop?" Every now and then there comes a work of exceptional importance for a wide range of woodworkers. This volume, by British cabinetmaker Richard Jones, is such a book. In Cut & Dried, Jones examines a broad spectrum of issues concerning the character, qualities, and uses of wood, with particular emphasis on its application to cabinetmaking. Woodworkers immediately think about two things when Japanese saws are mentioned. First, the extremely thin blade which produces a very thin kerf. Second, the fact that you cut on the pull stroke rather than the push stroke. These end up being 2 great advantages to the Gyokucho Rip Dozuki Saw, Model 372, which Jeff reviews this month. 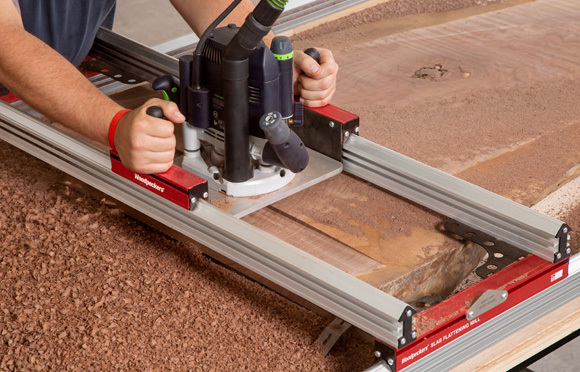 If you enjoy making natural edge furniture, you'll want to take a look at the new Woodpeckers Slab Flattening Mill. Norm Reid was one of the first people to get one and discusses its setup and benefits in this first look. Sharpening your tools is one of the most important parts of woodworking. For the next few months we're going to be sharing Christopher Schwarz's recent blog series on sharpening and his process for doing it! During February 2019, get a free SVM-45 Knife Jig with the purchase of any Tormek T-4 Sharpening System! The Hand Tool, Magnum & Chef's packages already include the SVM-45 Knife jig. For these items, the price of the package has been reduced accordingly. This tool puts dust collection functionality onto the jig, freeing your router from bulky hose connections. 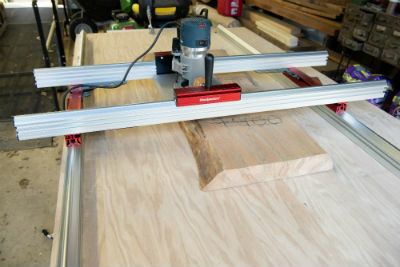 Along with dust collection, the VRS provides additional router support across the full width of the jig. Its thoughtful design moves up and down with the templates, so there's no re-positioning as stock thickness changes. This brand new 2018 edition of this flash drive archive contains every article published in Fine Woodworking magazine over the past 44 years. 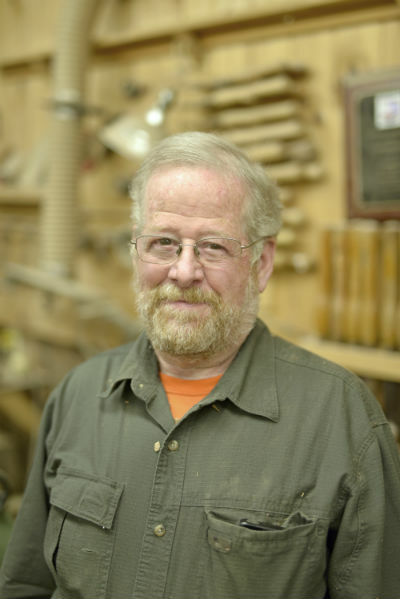 Easily search and view an entire generation's worth of woodworking wisdom. Our brand new online tool catalog is available to view online. You can click on any product number in our online flip catalog to go straight to our web page for that item. Limited early issue copies remaining! Get your child into woodworking!